The Department of Texas has an amazing program for Texas schools, universities, businesses, towns, cities, and counties. If you would like to recognize the sacrifices made by our combat wounded soldiers in Texas. As of November 15, 2018 we have a total of 203 Purple Heart Designation of Cities, Counties, Schools, Business's, Etc. in Texas. Below is a breakdown of each category. There is little sweeter in this world than returning home from combat operations and being restored to family and native soil. THANKFUL - - THANKFUL TO BE GOING HOME … Returning the troops home after WWII was a daunting task. The Magic Carpet that flew everyone home. 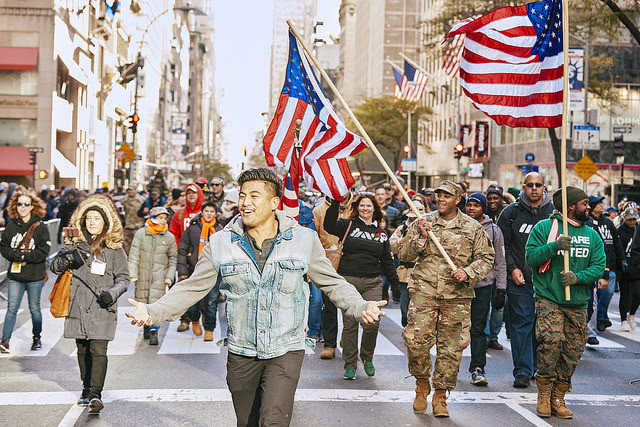 In 2012, Iraq and Afghanistan Veterans of America (IAVA) saw a need to create a safety net for transitioning veterans to connect them to the extensive, but often fragmented, network of support systems and resources available to them. The Rapid Response Referral Program (RRRP) has connected over 8,900 veterans to more than 10,700 resources. Unfortunately, the needs of today's veterans remain high. In 2012, Iraq and Afghanistan Veterans of America saw a need to create a safety net for transitioning veterans to connect them to the extensive, but often fragmented, network of support systems and resources available to them. The Rapid Response Referral Team has connected over 8,900 veterans to more than 10,600 resources. Unfortunately, the needs of today's veterans remain high. At Iraq and Afghanistan Veterans of America “Everyone is Welcome” is one of our guiding principles. We know that the veterans movement is for every veteran. And our diversity is a strength. We are a community that welcomes everyone, of every background, time period and discharge status. And the veterans movement is not for veterans alone. Our success is America’s success. We believe everyone can do something to help. In 2012, Iraq and Afghanistan Veterans of America saw a need to create a safety net for transitioning veterans to connect them to the extensive, but often fragmented, network of support systems and resources available to them. The Rapid Response Referral Program has connected over 8,700 veterans to more than 10,400 resources. Unfortunately, the needs of today's veterans remain high. Established by the Dodd-Frank Wall Street Reform and Consumer Protection Act of 2010, the CFPB’s mission to “protect consumers from unfair, deceptive, or abusive practices and [to] take action against companies that break the law” has garnered some political controversy and may quite possibly be amended. To date, the CFPB has worked with more than 31 million consumers, recovering $12.4 billion in relief through their enforcement actions and has handled over 1.5 million complaints. Although Sexual Assault Awareness Month is recognized in April, it is important to view each month and day as a time for everyone to be aware of the impact of sexual assault on the community at large. Since 2001, Sexual Assault Awareness Month has been recognized as a time to help empower all who have been impacted by sexual assault. Working with survivors of sexual assault as a mental health professional and as a victim advocate, is not something that comes easy to anyone.